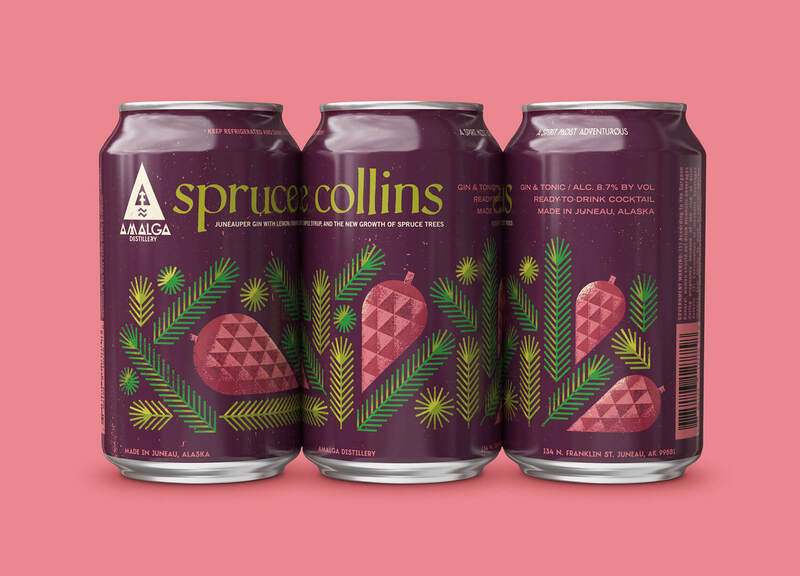 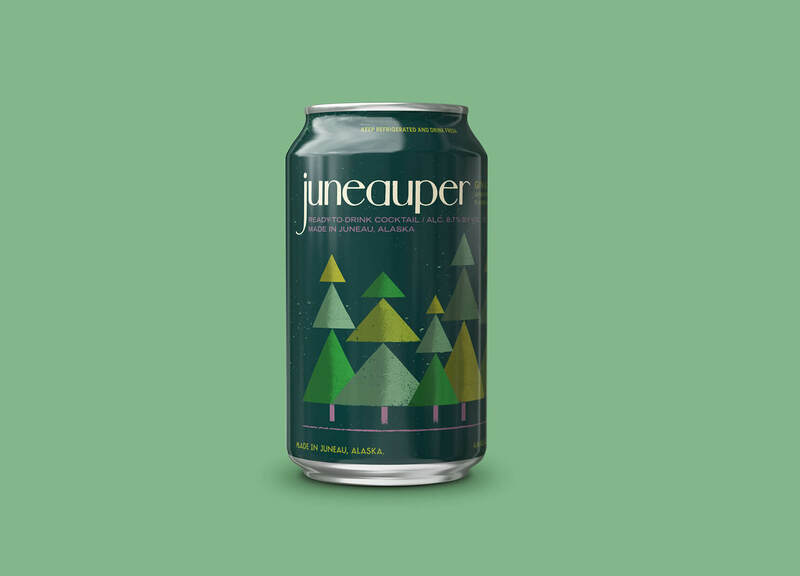 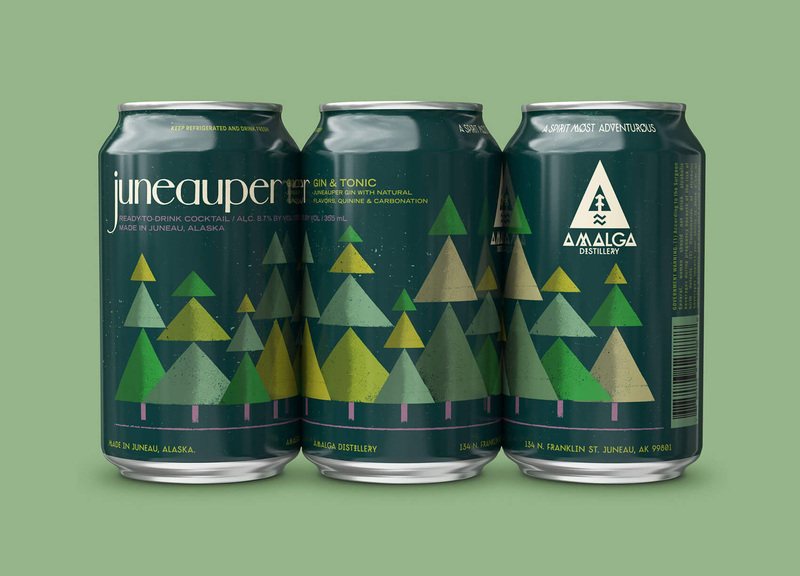 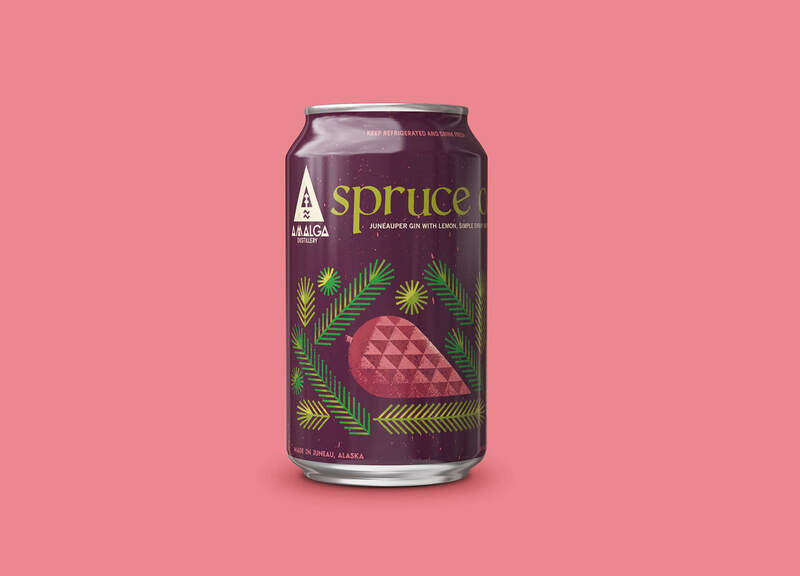 Juneau, Alaska’s reigning champion of spirits, the amazing Amalga Distillery, recently launched their own line of canned cocktails, so obviously I was excited to help them come up with a packaging system! 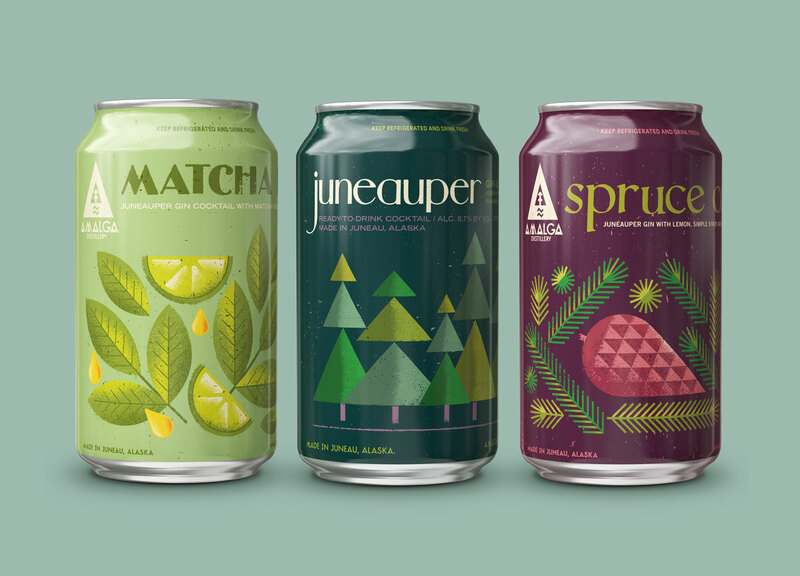 Showcasing their fresh and locally sourced ingredients with a stack of colorful, midcentury inspired illustrations seemed like the perfect way to quickly communicate just how delicious these drinks are. 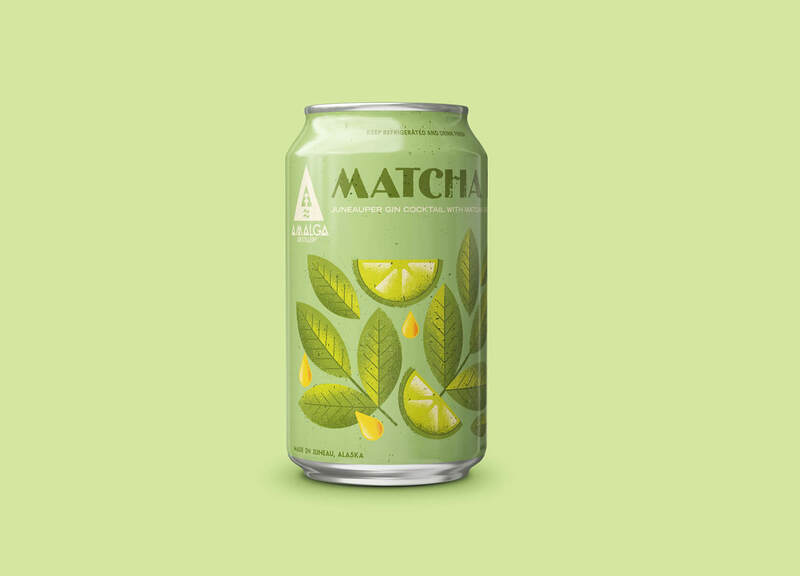 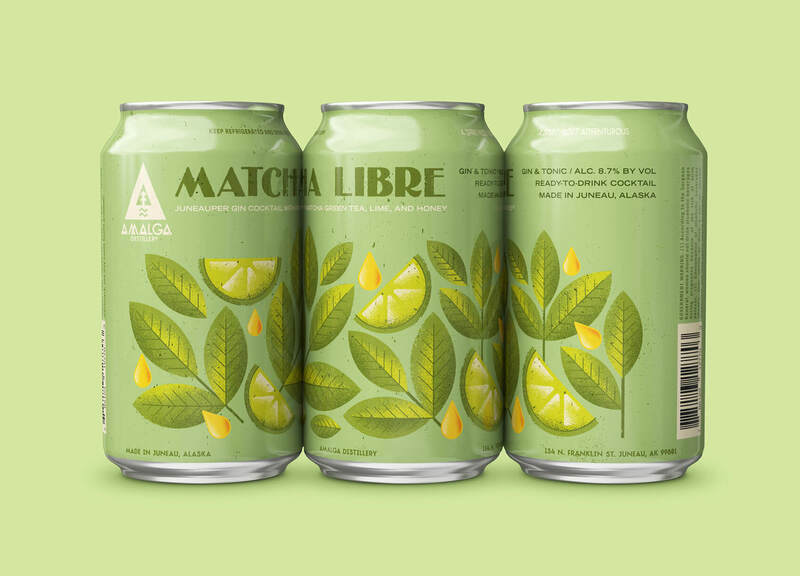 Fingers crossed that these colorful cans show up in your local grocery store soon!